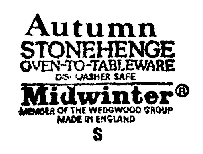 Early ware was apparently unmarked, or would bear the owner’s name - W. R. Midwinter. Marks including the word ‘Ltd’ must post-date 1932, the date of incorporation. 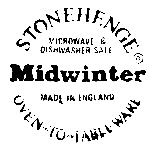 Most marks include the general trade name ‘Porcelon’. ‘Stylecraft’ was the name adopted for the new ‘modern’ shape released in 1953. There are a variety of marks, but all cases the name is prominent. Dates, in the form ‘11-60’ often accompany the Stylecraft/Fashion shape marks. 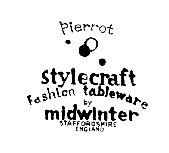 Confusingly, the ‘Stylecraft’ name was extended to the radically different Fashion shape released in 1954 and advertisements and backstamps often refer to ‘Stylecraft Fashion tableware’ or ‘Stylecraft Fashion shape’. It can be surmised that this was a way to introduce what was a very bold shape to a conservative public ‘without scaring the horses’. 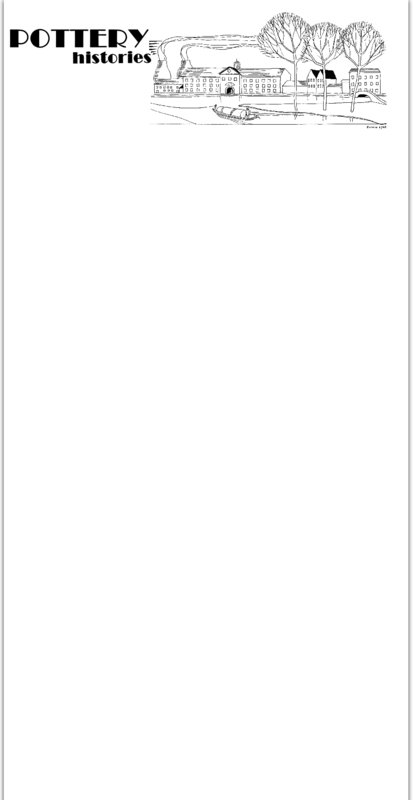 The minimalist ‘Fine’ or ‘Queensbury’ tableware was given a minimalist mark, although often including the pattern name and designer. The same mark appears to have been used on the short-lived MQ2 range released in 1966. There are a variety of marks, but the name ‘Stonehenge is prominent in all. A pattern name, applied separately, usually accompanies the basic mark. There are a range of post-Second World War marks and most marks include the company’s longstanding ‘Porcelon’ trade mark. The organic ‘Fashion’ shape lent itself to exotic patterns and in many cases the ware carries matching marks as with this ‘Poirrot’ pattern by Jessie Tait from 1955. 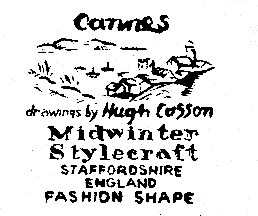 Pattern names rather than marks are the best way to date the Midwinter ware.